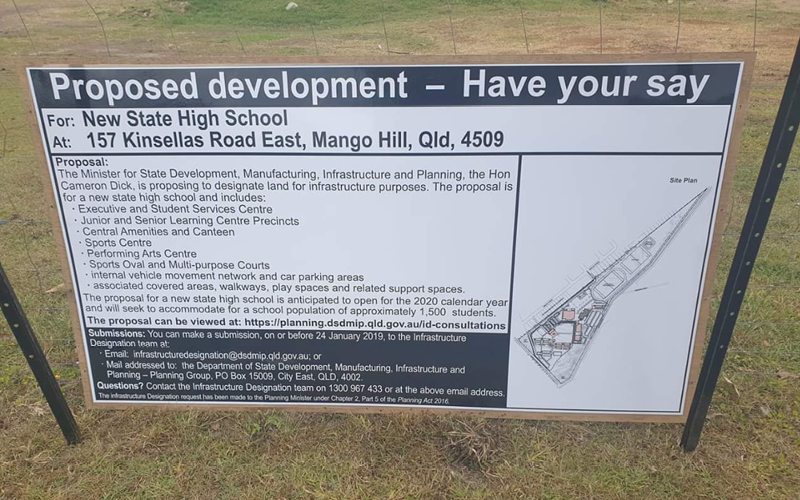 The proposal for Mango Hill State School has been lodged. It is due to be opened in 2020 and will accommodate 1500 students. Residents can make a submission, on or before the 24th of January 2019, to the Infrastructure Designation team at: infastructuredesignation@dsdmip.qld.gov.au or mail to: The Department of State Development, Manufacturing, Infrastructure and Planning – Planning Group, PO Box 15009, City East, QLD 4002. If you have any questions, call 1300 967 433.